@nerthos Why hate on steam? @valiantratchet 1- It forces you to do everything inside it. 2- No physical copies of the games. 3- You must run it to play anything... I had enough rants abut this. @valiantratchet Well, Valve is really good for indie games. Call of Cthulhu is the best € I ever spent. @valiantratchet If more devs were like Valve, we'd never get any new releases. Stay up all night talking to people on RDN. Sleep for 4 hours. Sup ponies. @minti Hi there! Not much going on here. How're you doing? @nerthos @minti With the exception of Sengoku Basara 3, that secred Oda Nobunaga stage, with the resurrections and the massive difficulty, and the Wii freezing. @nerthos It is not that hard if you play your cards right. I made the stage with my second try. @hakupony Yup. I wanted to win with Ishida since he was the first character I played. @nerthos The only character I leveled really up was Masamune Date. Wielding 18 blades is just too awesome. I also liked him in the Anime (even though Sanada was best in that one). @hakupony Yeah, Date is one of the best characters. Him, Oda, Kasuga, Sarutobi and Shingen are my favourites, though Ishida is my fav main character of SB3. @nerthos I kind of like his character. He's just such an arrogant blood knight but incredibly honorable and loyal - even beyond reason. My fav NPC however, is Tachibana Muneshige. This guy IS Sengoku Basara in a Nutshell. Awesome and funny incarnate. @nerthos Well, Tokugawa wanted to act for the greater good and had a vision - even if it is just "the power of friendship shall prevail". Ishida had just his revenge. As an utilitarist, I'd root for Tokugawa. By the way: did you hear about Sengoku Basara 3 Utage? I just found some footage about it and it looks awesome. You can play as Kojūrō or Muneshige. @hakupony The extended version? Yeah, I heard about it. I should try to find a copy somewhere. I didn't like Tokugawa because he spoke of "the greater good" acting with betrayal, posibly the worst crime ever. Ishida was a good guy who wanted to make Tokugawa face justice. @nerthos But at what cost? He engulfed the whole country in the flames of war again just for his own desires. Hideyoshi kicked the dog several times to unite the land and Ishida let all this efford go to waste. I'd say Ishida is a very, very good samurai but fails as daimyo. @hakupony A country at war is a fair cost for justice. @hakupony Yup. It is indeed an interesting point. It's true that it's the responsibility of a ruler to ensure the well being of his people, but without honor, what is a man but just an animal? Honor is the base of a working society. Without honor and justice as the highest standard to go for, a society quickly devolves into a mass of crime and filth as it is today. @nerthos We are worse as animals because we make other people kill each other for some fancy "greater good" or "justice" while everyone thinks he is right. We are very fast in ignoring the suffering of others because we think we are better than them - often because of our "virtue". We believe in Good and Evil, because it let's us feel good to fight against others. I give you that you are consequent with your philosophy and say that Mitsunari does the right thing, but most people who did wrong thought to act in the ways of justice. We can talk about the Jihad, the crusaders or even the Nazis here - they all thought they fought against "evil". @hakupony Yeah, that is the main problem. You can't institute justice as an arm of a government or something like that, because few are able to see what is actually justice. It's one of the biggest problems of our species. @hakupony And here is when I drop the conversation because my skills with English are far below what I need to speak my toughts. @hakupony Oh well. It seems we both will game then xD I agree, it was a nice conversation. @minti Oh well, I couldn't explain how to make gaming easier. Tried to teach my brother to play, ragequit after an hour. 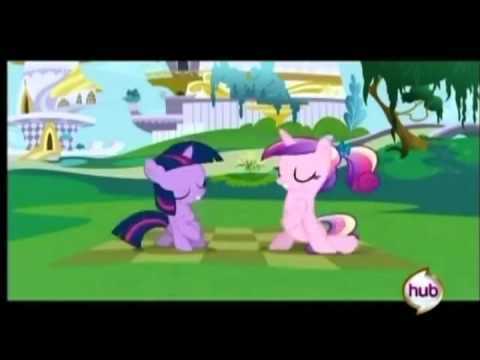 @minti Because little Twilight Sparkle is adorable and Cadence is just amazing!! @minti that is literally exactly how my night went. @valiantratchet Ever see a valve game with the word "Three" in it's title? Exactly.